Spring has finally arrived, and not a moment too soon. 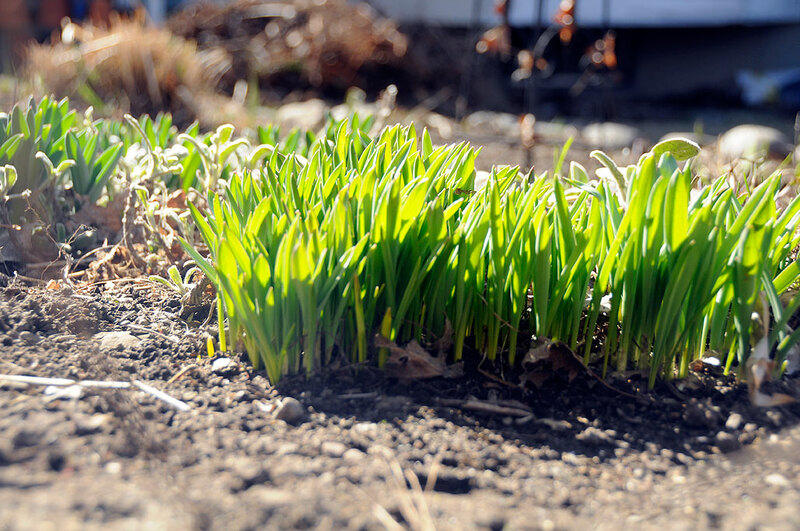 With a record-breaking amount of snow in January, we, like everyone else in New England, are ready to see some green. 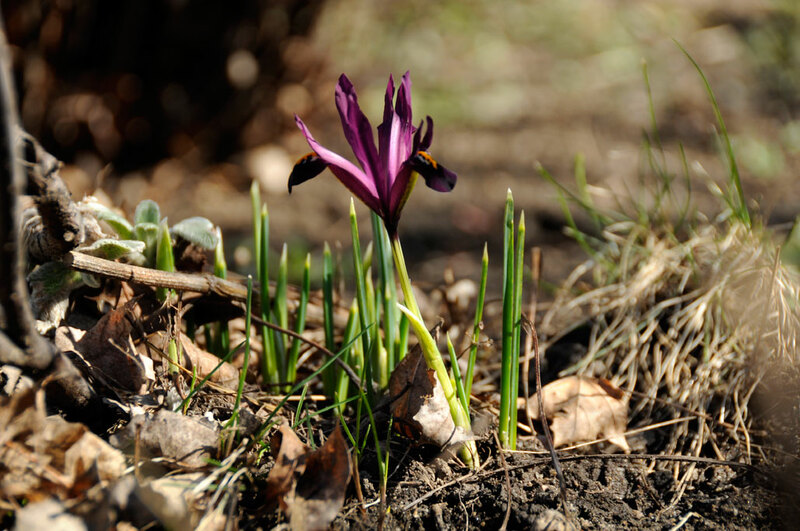 Even though the temperature was in the 30s this weekend and might even snow today, we noticed some bulbs starting to poke through the soil. Maybe it was all the water from the massive amount of snow we got this winter, maybe it was the few days of 60º weather last week; whatever the reason, the plants are awake earlier this year and activities in the garden will be speeding up from here on out. Compared to previous years, the growth in the RainyDayGarden is about a week ahead. We even spotted a bloom hidden amongst the dried leaves and dead branches. We have quite a few interesting projects planned for 2011. We hope you will come grow with us for another year at the RainyDayGarden. Readers will find more details and photos of the project write-ups in the iPad issue of RainyDayGarden. The Spring issue should be in the Apple’s AppStore by the end of April.